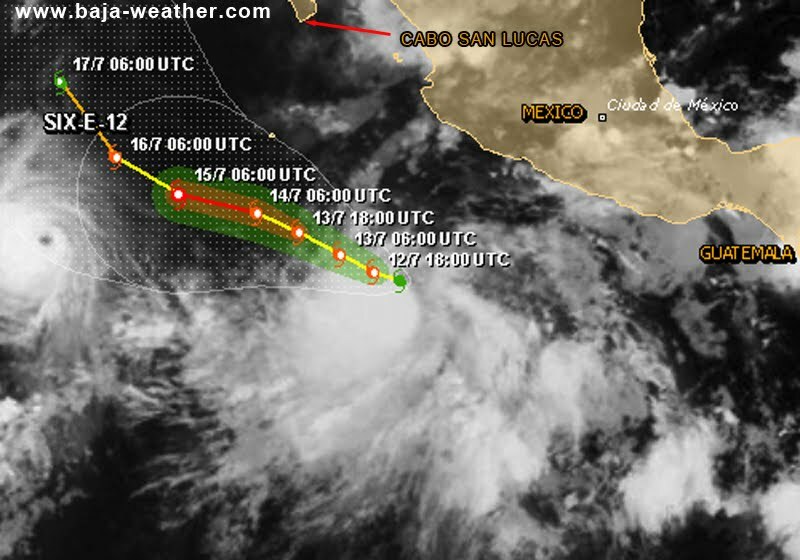 Depression strengthens to Tropical Storm Fabio expected to remain well offshore the Mexican coast. At 800 am PDT the center of Tropical Storm Fabio was located near latitude 13.6 north/longitude 107.3 west. Fabio is moving toward the west near 9 mph 15 km/h. A turn toward the west-northwest at a similar forward speed is expected later today and tonight.